Prospective and future ABC medical students have already taken a tremendous first step by finding one of the most comprehensive, hands-on medical training programs in NYC, but now comes the hard part: going back to school. There are several big differences between general schooling and specified medical training, but the learning structures of both forms of education still share similar supporting values. Many of the tips below may seem like simple common sense, but out-of-practice students may need some help acclimating themselves into a rigorous learning environment. By following the simple guidelines below, you can set yourself up for success. Schedule your studying and working hours. It’s quite common to see students plan their first two weeks of school with tenacity, only to see this self-imposed discipline wear thin after a few classes. Even if you feel like you “don’t have time” to sit down and create a weekly agenda for yourself, keep in mind that taking ten minutes to do so will increase your daily focus as well as your sense of accomplishment at the end of every day. Creating a daily, weekly, or even monthly schedule for yourself is the best way to ensure that you make time to achieve your goals. Plan to study during the day. Making a schedule for yourself is only a first step. If “study for the big test,” is scheduled only for the night before the big test, you may already be in trouble. While it’s a good idea to review your material the night before an exam, you can get the most mileage out of your studying hours by scheduling study time while the sun is still up, preferably days or weeks beforehand. Make flashcards for yourself. The bulk of medical training is memorization, and flash cards have proven themselves as a handy tool for getting specific codes and medical terminology into the brains of students worldwide. Schedule breaks into your studying routine. While it may seem like a worthwhile effort to study for eight hours nonstop, or even pull a dreaded “all-nighter,” experts have discovered that the human brain can more easily absorb information when that information is divided into chunks. Because of this, savvy students have gotten into the habit of splitting their study time into 30-50 minute increments, with plenty of opportunity for breaks. Take detailed notes. While this tip may seem especially general, keep in mind that medical training schools often need to handle multiple, complex subjects in a short period of time, so paying close attention to how you take your notes is especially crucial to success. Some students find that color-coding different sections of notes helps them focus better, and some students prefer an organizational method that uses various folders and binders for different subjects. Modern medicine offers a wealth of opportunities for students fresh out of a medical training school in NYC, especially if that school offers several career path options. 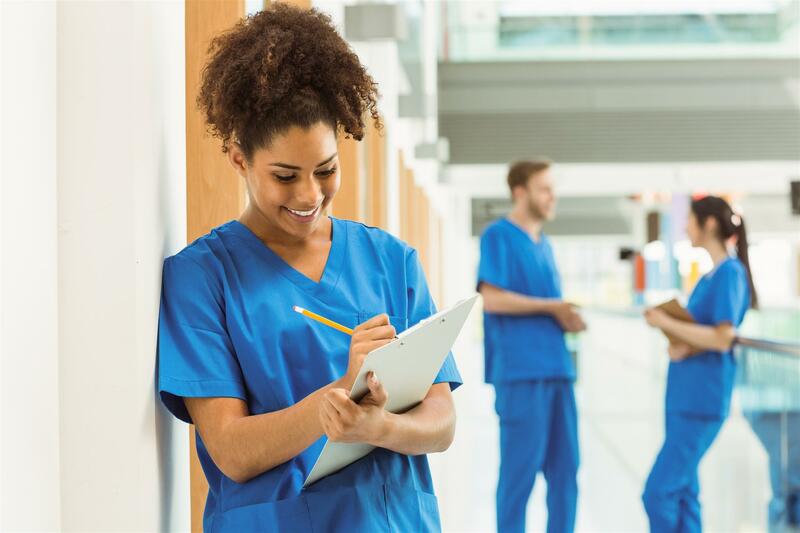 By researching the various functions performed by Certified Nurse Aides, Medical Assistants, and more, you can begin to gain a better understanding of each specialty and its requirements.